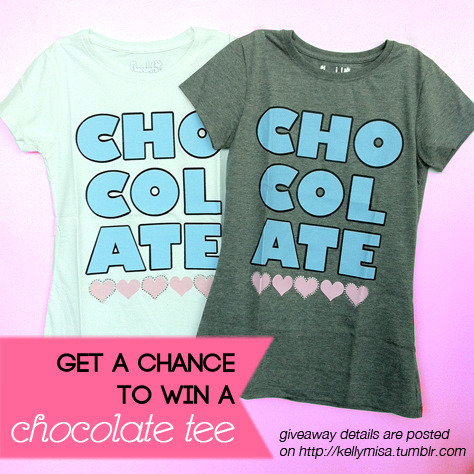 WIN THIS yummy Chocolate t-shirt! 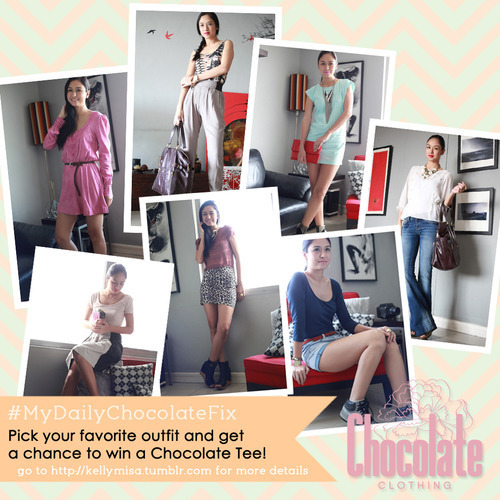 * Answer this question: So far, what is your favorite day/outfit in #mydailychocolatefix and why do you love this look? The best answer gets this yummy t-shirt! Contest will run for only two days: submission of entries is until September 29, 12 noon. Send your entries by clicking on the ‘Ask Me Anything’ button (its right under the title of the blog: KELLY MISA @ tumblr). Please include complete name and mobile number so Chocolate can contact you if you win!